Cluster ensemble technique has attracted serious attention in the area of unsupervised learning. 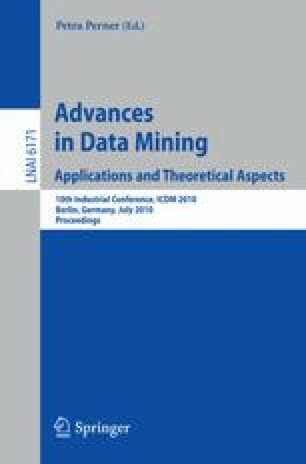 It aims at improving robustness and quality of clustering scheme, particularly in scenarios where either randomization or sampling is the part of the clustering algorithm. In this paper, we address the problem of instability and non robustness in K-means clusterings. These problems arise naturally because of random seed selection by the algorithm, order sensitivity of the algorithm and presence of noise and outliers in data. We propose a cluster ensemble method based on Discriminant Analysis to obtain robust clustering using K-means clusterer. The proposed algorithm operates in three phases. The first phase is preparatory in which multiple clustering schemes generated and the cluster correspondence is obtained. The second phase uses discriminant analysis and constructs a label matrix. In the final stage, consensus partition is generated and noise, if any, is segregated. Experimental analysis using standard public data sets provides strong empirical evidence of the high quality of resultant clustering scheme.